When we heard Fiat announce the $199 lease price for the all-electric 500e, we figured it would have a big effect on the electric vehicle market. After all, $200 a month for an EV makes a lot of sense for a lot of commuters. The next EV to get a price tag was the 2014 Chevy Spark EV, which ended up with most of the same numbers ($199/month, $999 down, 36 months, 12,000 annual mile limit) but you have to pay $0.25 a mile for each one over 12,000 a year. 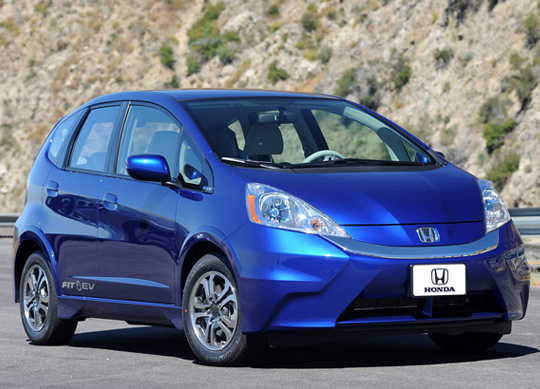 Now we have the latest reaction: the Honda Fit EV, and it stacks up well. Finally. The all-electric Honda Fit originally had a three-year lease for $389 a month with $389 due up front, and was limited to 12,000 miles a year. Today, that number drops way down with the announcement that the new cost is just $259 with no down payment. That's more per month than the competition's $199, you might be saying, but the Fit EV comes with a free Leviton 240-volt charger (you still have to pay for installation) and unlimited mileage. Also, $259 a month gets you scheduled maintenance and collision coverage with your Fit EV, too. Honda's Jessica Fini told AutoblogGreen, "All these new additions effectively make the Fit EV one of the most affordable EVs on the market," and it's hard to argue against that. You can see the math yourself here. If you already have a Fit EV and have been paying $389 a month, you'll be happy to know the new lease payment will apply to current customers going forward. 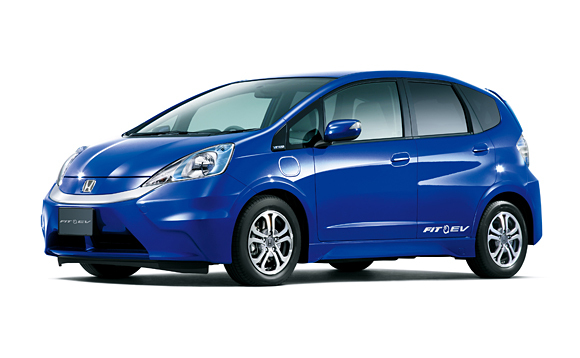 The Fit EV is rated at 118 MPGe and has an 82-mile range. You can read our review of the car here. Honda will be increasing the number of Fit EV dealers in the states where the car is available – California, Oregon, New York, New Jersey, Massachusetts, Maryland, Rhode Island and Connecticut – from 36 to more than 200 by the end of June. This is a good sign that the company may one day stop treating the Fit EV like a California compliance car, but for now we still have 42 states to go. Don't forget to check out the awesome music lineups at Sasquatch, New York City's Governor's Ball, and Austin City Limits this summer. Enter for your chance to win VIP tickets and a 2013 Honda Civic! Honda will also provide an opportunity for some lucky fan to win VIP concert passes and a brand-new 2013 Civic sedan. Simply visit the Honda Civic HondaStage Sweeps Facebook page for details, or check in with your local dealer for the latest news on the Civic. For more information about the Civic Tour 2013, visit http://CivicTour.Honda.com. Since the Accord's LCD screen is mounted high on the dashboard, it allows drivers to quickly – and safely – give it a glance while on the go. A large obstruction like a vehicle should be immediately visible. Although the picture quality is hardly high definition, it does give a clear enough view of the car's blind spot regardless of sunlight conditions. At night, we found LaneWatch arguably more effective since a vehicle's lights were very easy to see. Over the course of a week in our Accord test vehicle, we quickly got used to glancing at the LCD screen before attempting to move into another lane. We didn't like having the screen up at all times, although we contend that there might be some high traffic situations where being able to constantly view a car behind you is desirable. On the downside, LaneWatch takes up the entire LCD screen, so any audio or navigation functions that were displayed there disappear while the camera is active. This is hardly a convenience for drivers, but passengers flipping through radio stations or programming an entry into the navigation system were often mildly irritated by the changing screen. Also, LaneWatch doesn't audibly alert drivers if they start to move into an occupied lane the way some blind spot monitors do. Is LaneWatch a replacement for a blind spot monitor? Not quite, but it's an interesting effort that will probably impress buyers in the showroom. 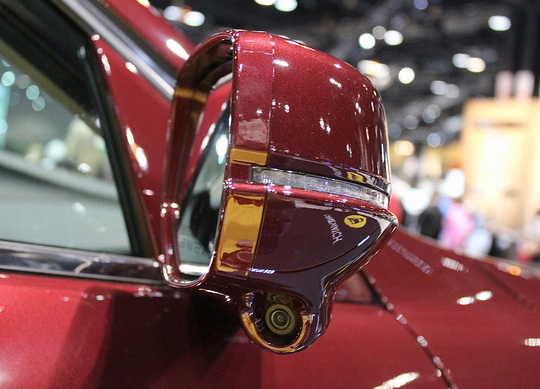 Although we're still bigger fans of defensive driving – which includes properly adjusting outside mirrors - we've grown used to the prevalence of blind spot monitors in new vehicles. As a result, we're used to having sensors on either side of the vehicle alert us of an occupied lane. Since LaneWatch only keeps track of the passenger side, its usefulness is comparatively limited. That said, Honda has so far been aggressive about including LaneWatch at a price point where most competitors don't offer a blind spot monitor. Given the value equation, LaneWatch strikes us as a solid effort. Apparently, May is the month to pile on love for the used Honda Accord, which we already mentioned once a few weeks ago as being among Kiplinger’s best used car values. 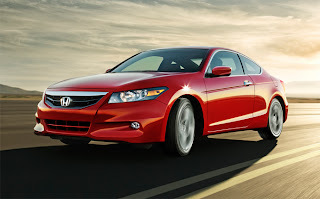 Now, however, The Car Connection is taking its turn by naming the used two-door Honda Accord among the best used coupes in the industry. 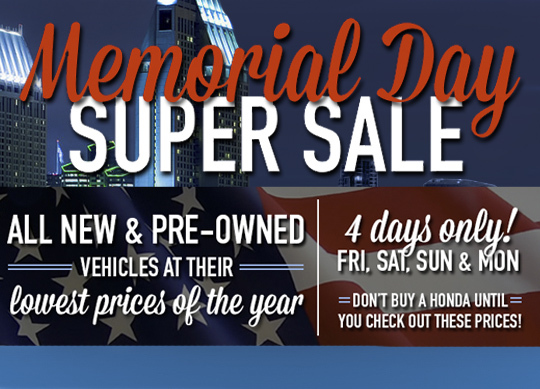 The time is finally here to get your lowest prices of the year at Pacific Honda! For four days only you can find the Honda that is just right for you. Once you see the prices at Pacific Honda, you won't want to shop anywhere else! 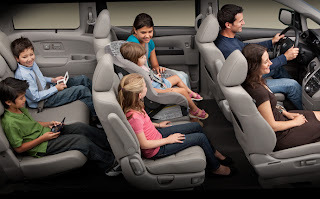 Before you go anywhere this weekend, visit your friends at Pacific Honda to make sure you are up to date and safe to be on the road. Here are a few pointers we found to help! It’s getting warm outside. Students are getting out of school for the year. On top of all of that, Memorial Day is less than a week away, and you’re bound to be hitting the highway for a getaway. Check your brakes and your battery to make sure it’s corrosion-free. Check fluids in your car, including engine oil, washer fluid, coolant, power steering fluid, and brake and transmission fluid. Checking your air filter and oil filter are probably good ideas, too. Check belts and hoses to make sure they’re not cracked or worn. Check your tires to make sure they’re not over-worn or over or under-inflated. Lastly, make sure your gas cap is tight, not broken, and does its job. Of course, if you’ve done all of these recently, you’re in the clear. To add to that, from personal experience, having a good auto club membership that may be able to tow you to a shop or change a tire is always helpful. "Being the awesome guy I am, I once found that my old lug nut wrench wasn’t doing anything but stripping the nuts when I was attempting to change a tire on my old car. Rather than make sure I couldn’t get the tire off at all, I called AAA before I did too much damage. Its trucks almost always have air-powered wrenches that can do the trick." So putting away your pride is also a good way to do it. And if your car leaks a little, as so many old cars do, carry a bottle of whatever you may need, whether coolant or oil, and be handy with it. The best thing you can do is know what your car does and be able to proactively tend to it. After that, happy trails, good luck, and safe travels! Well, we’ve come a long way from those days. TVs have been in minivans for a really long time, but the 2013 Honda Odyssey has taken that in-vehicle entertainment to a whole new level. In fact, the new technology in the Odyssey is so advanced that it was named to Edmunds’ list of Top 10 Tech-Friendly Cars. The 2013 Honda Civic the only compact car to receive the top safety rating from the National Highway Traffic Safety Administration and Insurance Institute for Highway Safety. 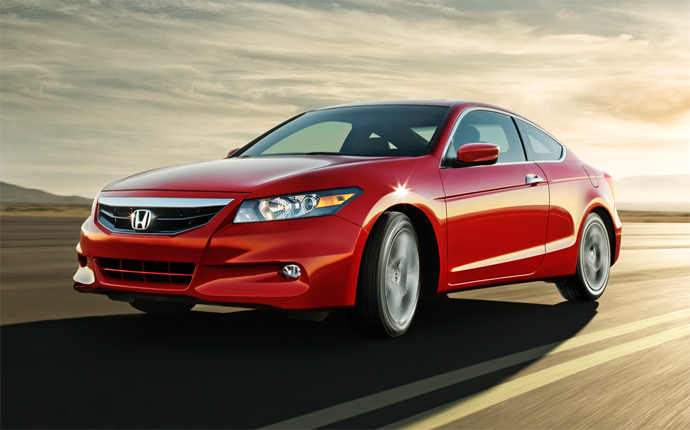 To repeat, the 2013 Honda Civic Sedan and Coupe are the only small cars to receive these prestigious safety ratings. Honda reinforced its frame, which allowed it pass the new off-set frontal crash that simulates a collision on the front corners of the car. Come down to Pacific Honda, or visit www.pacifichonda.com, and check out the ride that continues to be a standout in the midsize category. All one has to do is take a cursory glance at the 2013 Honda Fit EV to get a sense that it’s one of the most fun and interesting vehicles currently in the Honda stable. We know that compact hatchbacks aren’t for everybody, but the Fit EV has put itself in a place of distinction recently with its great combination of unbelievable fuel efficiency (its miles-per-gallon numbers are some of the best in the business) and respectable power. In fact, so buzz-worthy is the new Fit EV that Kelley Blue Book, that ol’ trustworthy evaluator of cars, trucks and SUVS, recently named it to their list of 2013’s 10 Best Green Cars. Honda returns to support the biggest music festivals of the summer with major sponsorships at three premier events: Sasquatch! (May 24-27) at the Gorge in George, WA, Governors Ball in New York City (June 7-9) and Austin City Limits Music Festival in Austin, TX, (Oct. 4-6; 11-13). As part of the festival support, Honda is offering the opportunity to win a 2013 Civic Sedan and VIP festival passes as well as the return of the popular Honda Photobooth. Honda is also encouraging attendees to connect with other music fans, share their festival experience, including photos, fashions, set lists and musings with the #HondaStage hashtag on social media channels in addition to Honda-branded Facebook and Twitter pages. 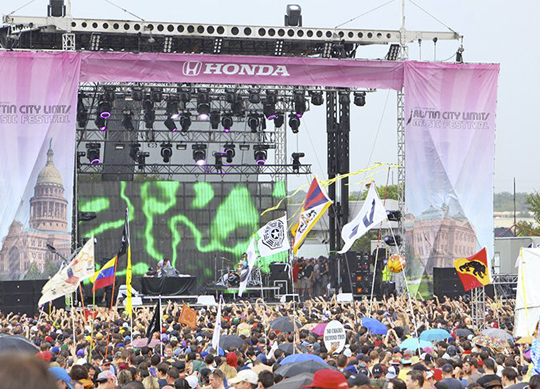 "Here at Honda we are just as passionate about music as our owners and being a part of these festivals allows us to connect with them in an authentic way," said Mike Accavitti, Senior Vice President of Auto Operations for American Honda Motor Co.,Inc. "Honda has been a mainstay at the biggest summer festivals for more than five years and once again, attendees can expect that the Honda Stage will host the best and brightest bands in the country." Honda returns to the Sasquatch! Music Festival for the fourth year with platinum-selling artists Vampire Weekend and Primus 3D playing the Honda Stage. For the second year, Honda joins the Governors Ball Music Festival in New York City, with the Honda Stage featuring Pretty Lights, NAS, The Lumineers and The Avett Brothers. After years of consecutive of sell-out crowds, the Austin City Limits Music Festival expands to two weekends with Honda returning as a sponsor for the fifth consecutive year. 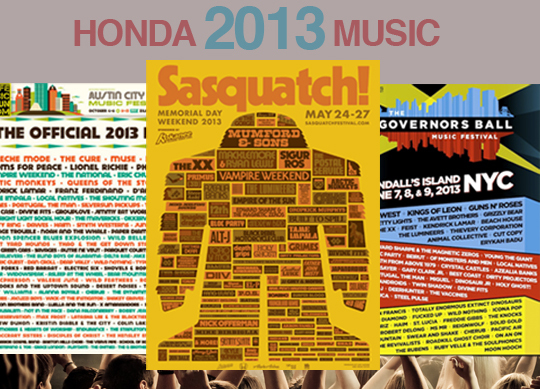 For more information on the opportunity to win a 2013 Civic Sedan and VIP passes to Sasquatch!, Governors Ball or Austin City Limits Music Festival, visit http://Honda.us/Music. For complete rules on the 2013 Honda Civic Sedan giveaway, visit: https://music.honda.com/fbsweeps/rules/Honda-Music-Festival. As a founding sponsor of Aquarium of the Pacific, Honda is doing its part in Marine life conservation, education and community outreach programs. 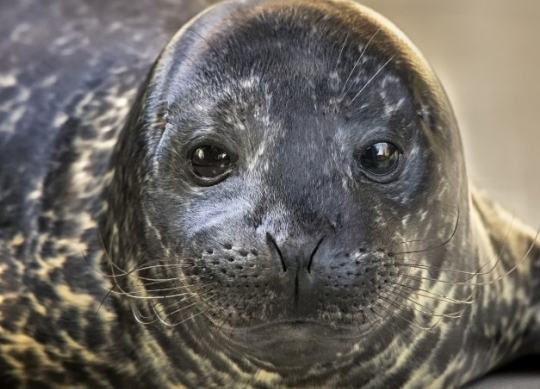 You can join in on the action by donating, joining the adopt a baby seal program, or even just buying tickets at http://www.aquariumofpacific.org/ to see the beauty in Marine life preservation. Aquarium of the Pacific also has a fun page where you can create your only coloring pages for the kids: http://automobiles.honda.com/events-and-sponsorships/pilot-aquarium-of-the-pacific.aspx. Check out this great venue and don't forget to visit your friends at Pacific Honda for the best deals and service in town! In 1987 the 1st generation Honda Accord started at $3,997. After 26 years of being a powerhouse in the mid-size industry, we thought it would be fun to take a look back at the progress Honda has made with one of the best rated cars of all time. Which generation Accord driver are you? 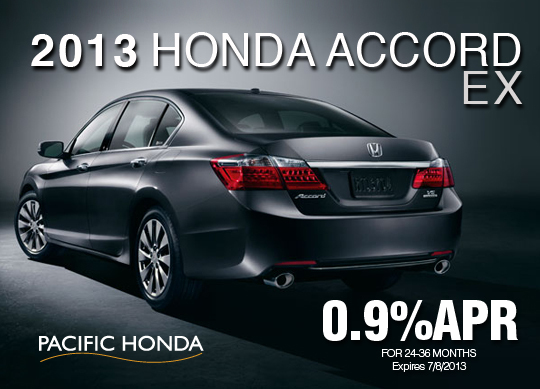 Have you checked out all of the great service and parts specials going on at Pacific Honda? 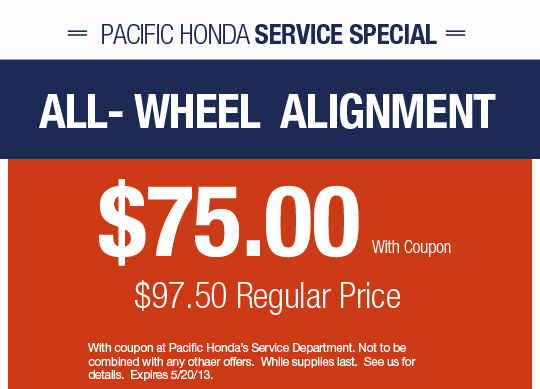 Now is a great time to visit us online at www.pacifichonda.com and see how you can save on things like an All-Wheel Alignment for just $75.00!! Print off your coupons from the website and take advantage of these great specials while they are available! To say that we’re excited about the all-new 2013 Honda Accord would be a massive understatement, evidenced by the fact that we sure have spent a lot of time talking about it over the course of the last few months. 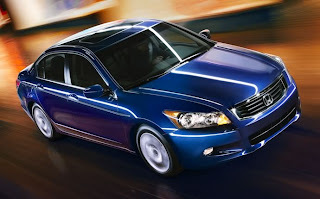 But we don’t want you getting the wrong idea that older models of Accord are any less important to us; like a parent who loves all his or her children equally, we hold fondness in our hearts for all our models, even the ones that are a few years old. 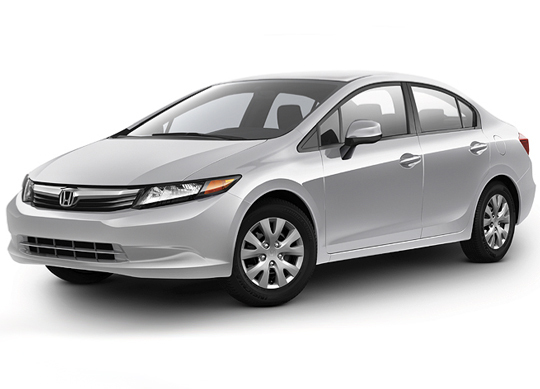 Make your way down to Pacific Honda to check out the Honda Civic Natural Gas at only $20,995. Honda is always creating more ways to help you save! Available in sedan or coupe bodies, all but the Si and GX trims are powered by a 140 horsepower, 1.8-liter inline four-cylinder with a standard five-speed manual transmission and optional five-speed automatic. 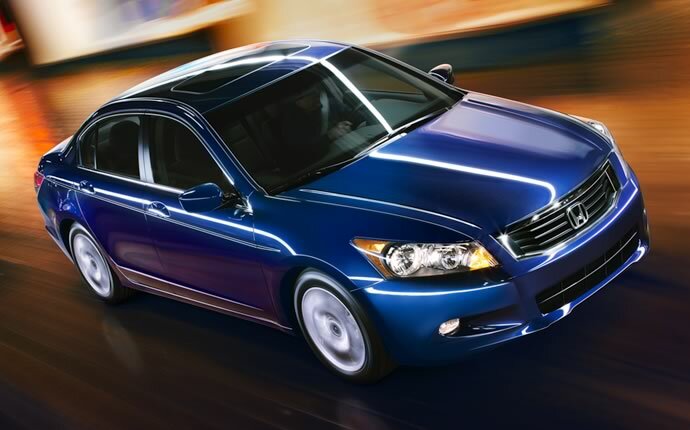 The performance-oriented Si comes with a 201 horsepower 2.4-liter inline-four bolted only to a six-speed manual, while the GX is powered by a dedicated natural gas version of the 1.8-liter gas engine, and a five-speed automatic. A unique HF trim ekes out additional fuel economy with the help of aerodynamic add-ons, lightweight alloy wheels and low rolling-resistance tires. 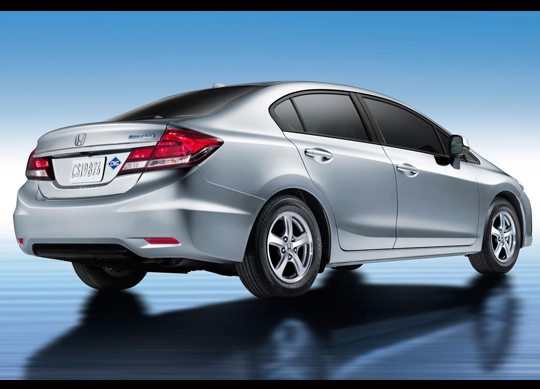 Standard safety features on all Civics include electronic stability and traction control, anti-lock brakes with brake assist, six airbags, daytime running lights and tire pressure monitoring. Tech features include Bluetooth phone and audio connectivity, a rearview camera with guidlines and ECO-Assist technology on all trims for 2013, automatic climate control for EX models and up, front fog lights for EX-L models and subscription free FM traffic updates with the optional navigation system. The 2013 Civic is refreshed with refined interior and exterior styling, as well as safety, feature, comfort and chassis improvements. Not only does Pacific Honda have the best financing options available, but the current specials are being extended through July 8th!! 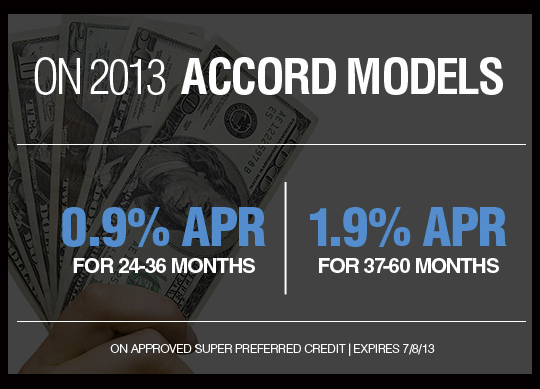 Come down and check out our amazing rates like 0.9% APR for 24-36 months, or 1.9% APR for 37-60 months on ALL 2013 ACCORD MODELS. Be in a car that makes you happy and find the best deals at Pacific Honda!! 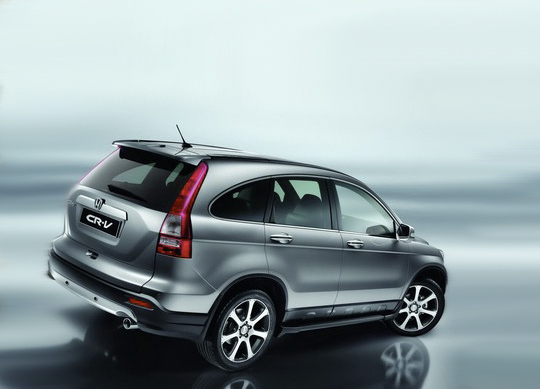 Come down to Pacific Honda today for a test drive, and see why sales are up for models like the CR-V, Accord, and Fit! "The April sales record for the CR-V exemplifies the incredible retail sales success of Honda’s core models," said John Mendel, executive vice president of Sales at American Honda. "The Accord and Civic also continue to resonate, one customer at a time, with overall year-to-date sales well ahead of last year."